We’re all a little obsessed with French style aren’t we? I mean, there entire books devoted to dressing, eating, and flirting like a French woman! Today I’m very pleased to bring you an interview with food blogger and Parisienne Clotilde Dusoulier. 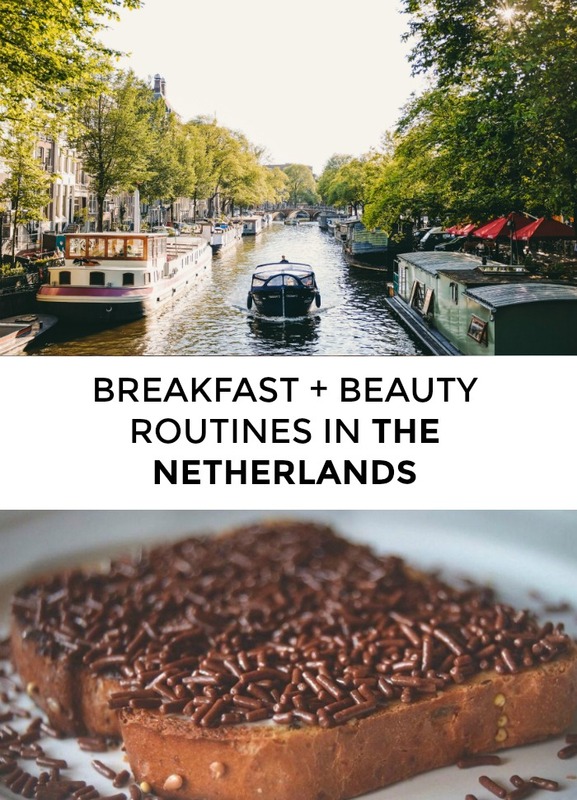 I loooooved her breakdown of the beauty products she uses and her breakfast recipes! How do Austrian women get that glowing skin? Are all of them blond and six feet tall? Do they all eat yogurt and muesli for breakfast? 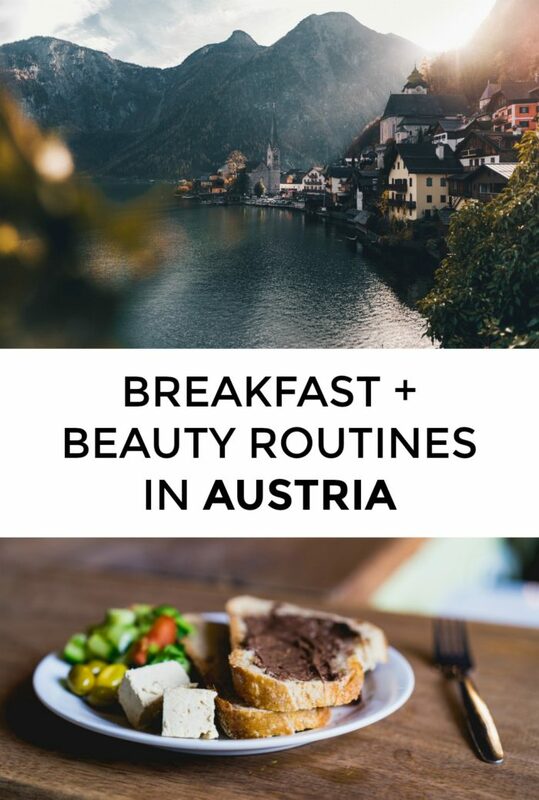 Today, Austrian author Susanne tells us all about her Austrian breakfast and beauty routine! 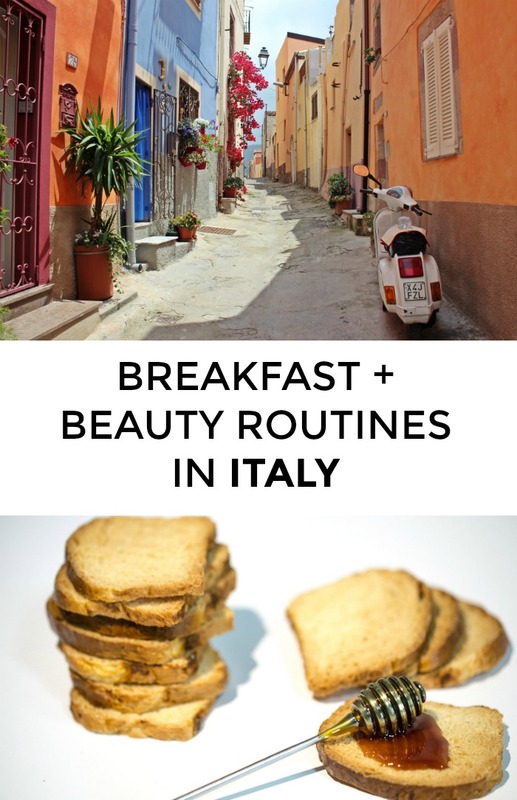 Red lips, smoky eyes, delicious pastries – those Italian women seem to have it figured out! Today Turin resident (and total babe) Benedetta is telling us alllll her secrets – including the $13 Italian beauty product us non-Italians can buy on Amazon! I usually have a healthy breakfast of avocado on toast, or eggs with bread or oats and fruit. If I have the time, I whip up a smoothie or fresh juice but if I’m in a hurry, I have a cup of lemon tea. The local breakfast here in Dubai usually features traditional bread – like khameer, a sweet and savory Emirati bread, or muhala, a crisp sweet bread, or pancakes called chebab. Eggs are also a part of the traditional Emirati breakfast, they have date omelets and a dish with sweet vermicelli noodles topped with fried eggs. 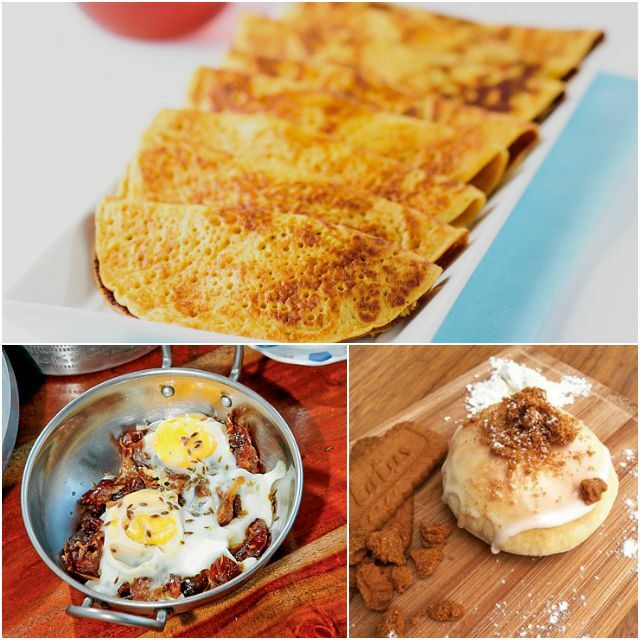 Weekend brunches are very popular among the expats over here, every hotel has a brunch deal for Fridays (that’s our weekend here), it’s practically a rite of passage when you move here. My beauty routine always starts with my Merumaya Luxury Facial wash , Soap & Glory BB cream for sun protection and Filorga eye cream. After the gym and a quick shower, my beauty routine continues depending on the type of day I have planned. If I’m working from home, I just moisturize with coconut oil and leave it at that. If I have any meetings or blogger events to attend, I put on a full face of makeup. I love applying makeup, it’s my zen moment of the day. 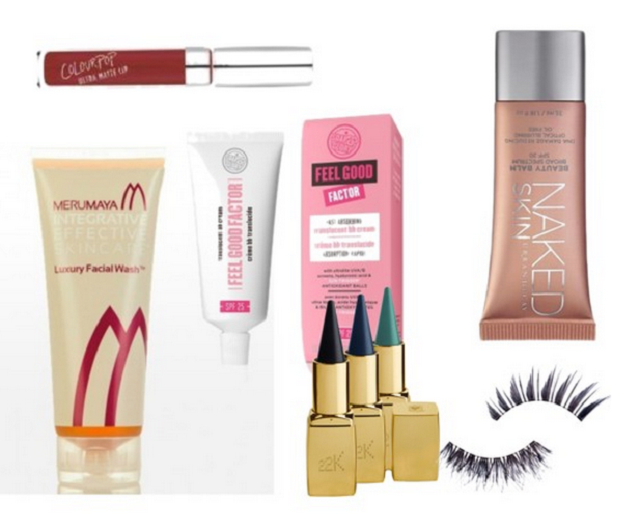 I am loving the Urban Decay Naked Skin range and everything from Colour Pop . The Arab makeup style usually focuses on dramatic eyes- kajal (or kohl), false lashes and dramatic eyeliner- the works! We have a popular Arab brand here called Mikyajy that makes the creamiest and most pigmented kohl pencils ever, and Dubai entrepreneur Huda Kattan is known for creating one of the best false lashes line. Then, I head to work by: I drive to all my meetings and events, my trip usually involves taking the highway, Sheikh Zayed road. If there’s an accident (there usually is), it can take anywhere from 15 minutes to an hour. Thanks so much for sharing, LuAnne! 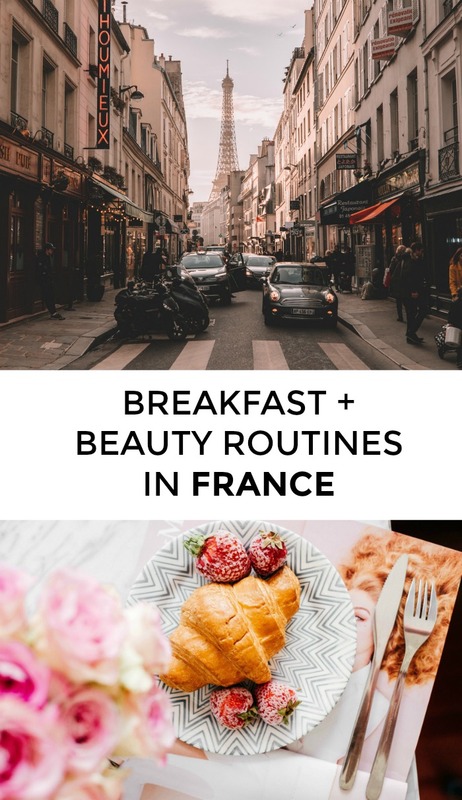 Are there any other Emiratis who can weigh in with their breakfast + beauty routines? Each year I make a list of new things I want to try; it’s part of how I live my life on purpose. Some of these new things are exciting, many are terribly mundane. While the good Lord/DNA blessed me with some pretty amazing stuff – great hair, big lips, a Scandinavian lack of body hair – cheekbones didn’t make the cut. When Amy Schumer said that she had an ‘at risk chin‘ I laaaaaughed because I get it. Turkey neck is coming for me. So when I added ‘contouring’ to my New Things list, I did it for three reasons. 1. It’s nice to learn new things! I’d like to add another skill to my beautifying tool box! 2. Contouring is a pop culture phenomenon. Do we even know what the Kardashians would look like without it? Is my ladyhood badge going to be revoked if I don’t know how to do it? 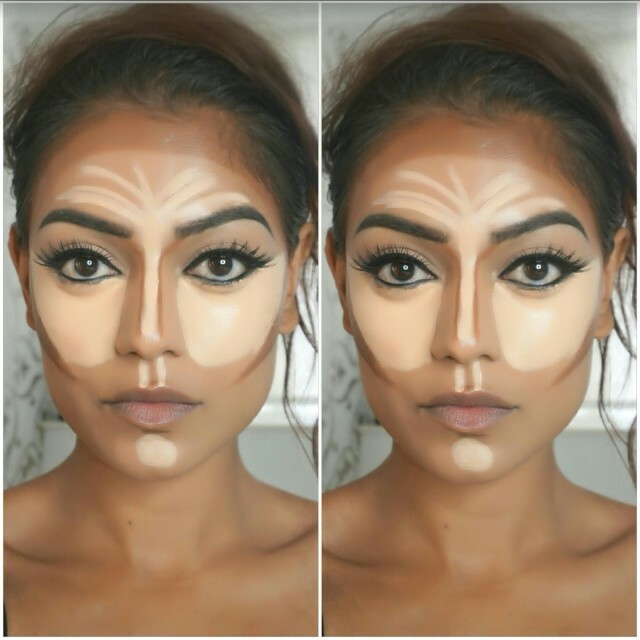 If you’ve never heard of contouring, it’s the practice of using different colored makeup to accentuate the angles of your face. When done correctly, it can slim noses, emphasize jawlines, or create the illusion of cheekbones where previously none existed. While I am totally committed to trying new things, I am less committed to investing $45 in contouring makeup that I might never use again. A bit of googling suggested this little beauty for beginner contour-ers, and what luck! It cost $12, wasn’t tested on animals, and was on the shelf at my local Target. Sold. Maybe if I’d gone all out with super opaque concealer and a multi-color contouring kit, I could have coaxed a more dramatic result out of my face. But honestly? I’m pretty happy with my five-minute makeup routine and my pretty average cheekbones. But I want to know about you! 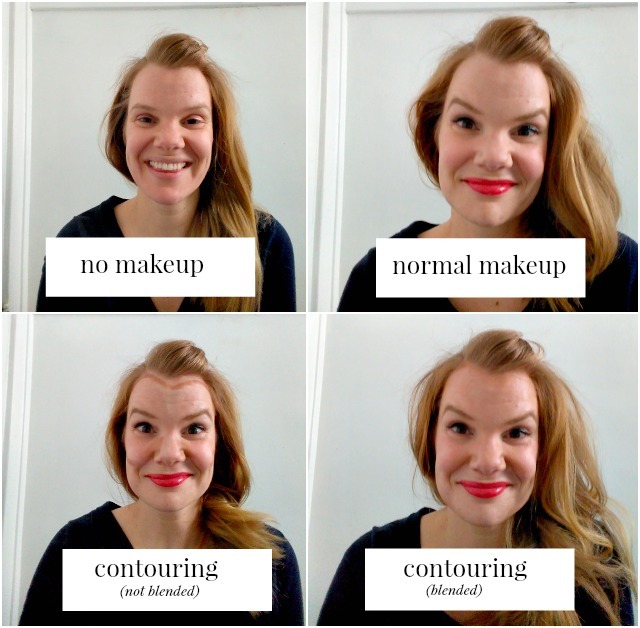 Have you ever tried contouring? What products do you use? P.S. If you’re curious about my ‘normal’ makeup, I wear this $6 bb cream, this $6 mascara, and this $2 brow pencil. I will talk your ear off about Revlon Lip Butter (I’m wearing Candy Apple in the above photos) and if I’m feeling ambitious, I’ll wear this liquid eyeliner.